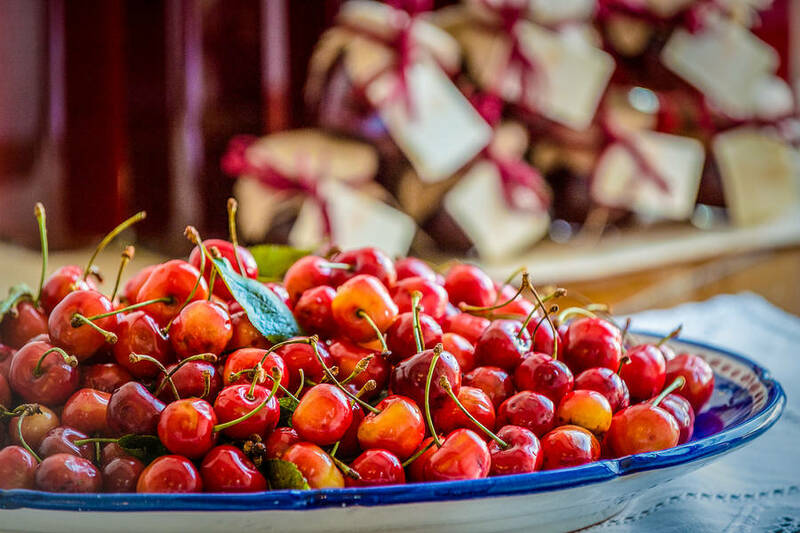 Have you ever eaten fruit picked fresh off the tree? 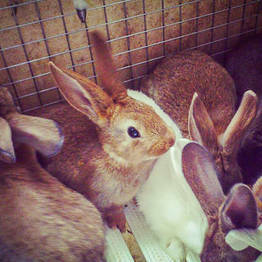 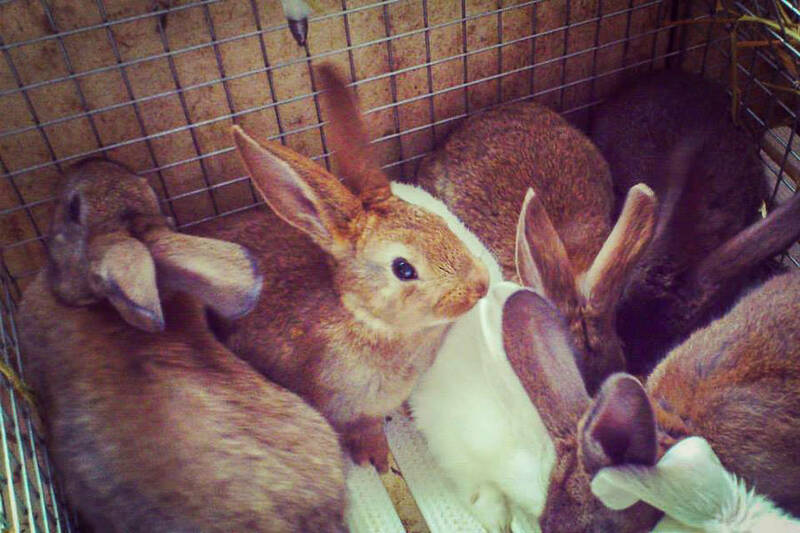 Or cuddled a baby bunny? 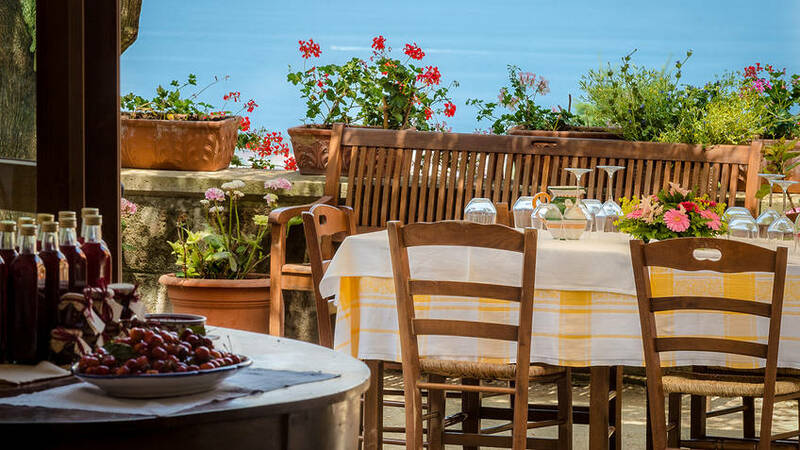 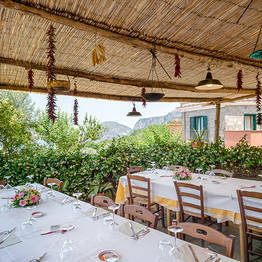 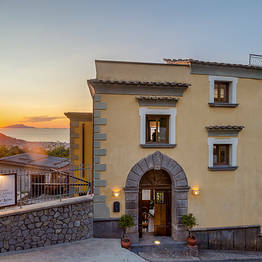 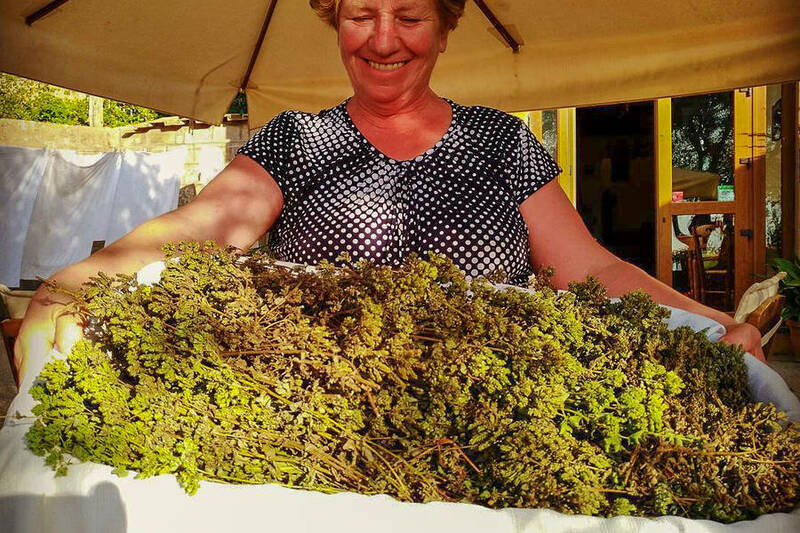 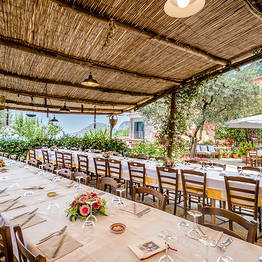 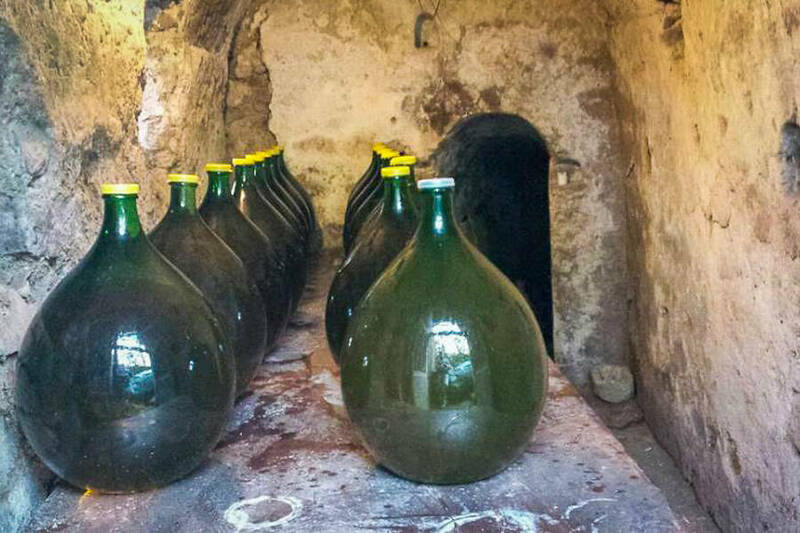 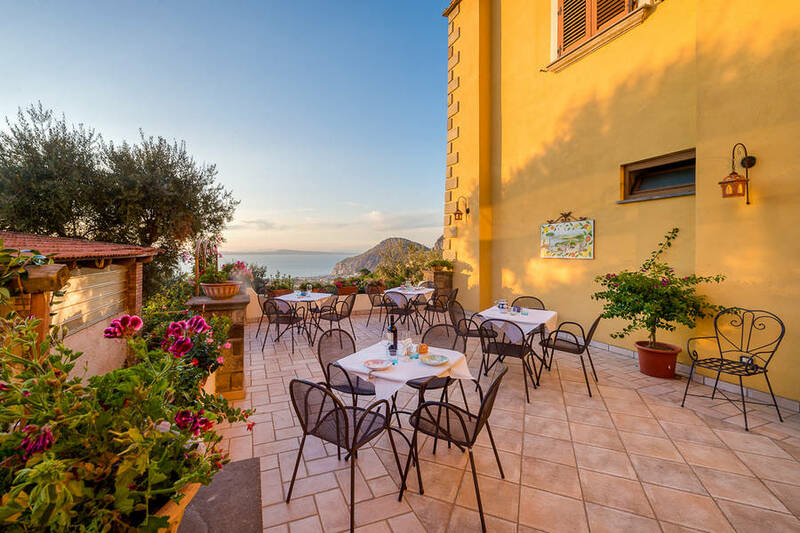 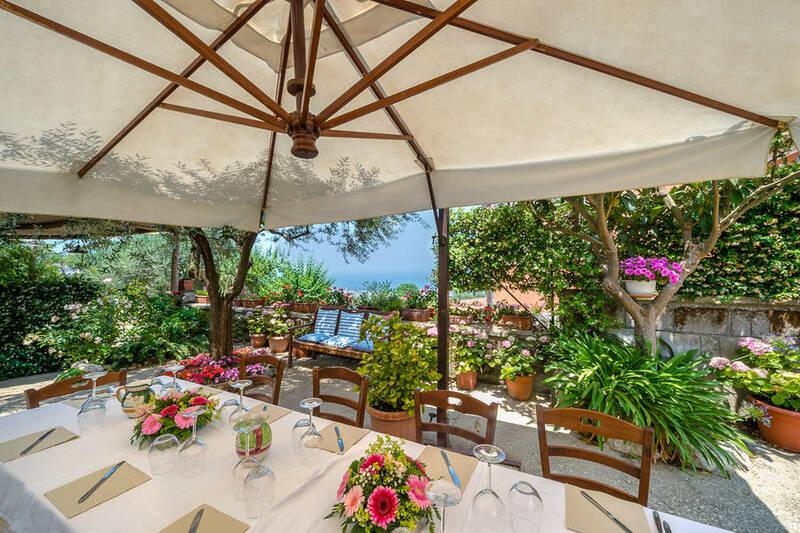 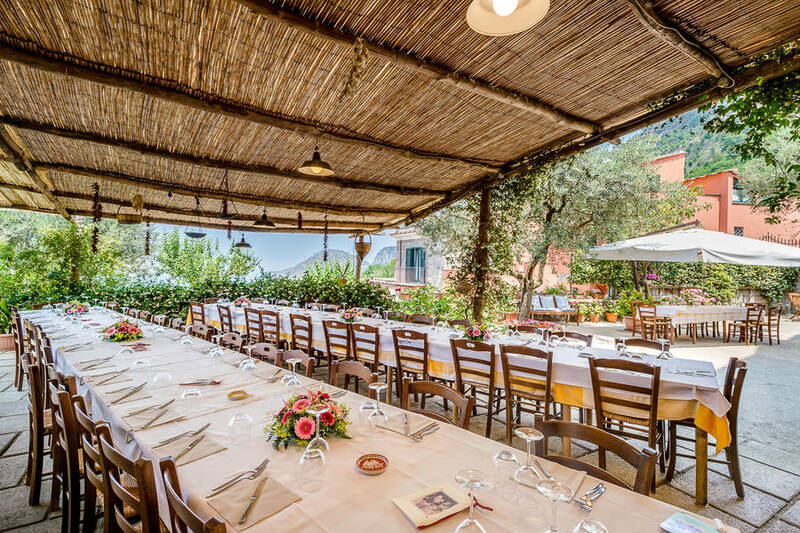 These are just two of many unforgettable experiences you and your family can have at Antico Casale, a real family farm halfway between Positano and Sorrento. 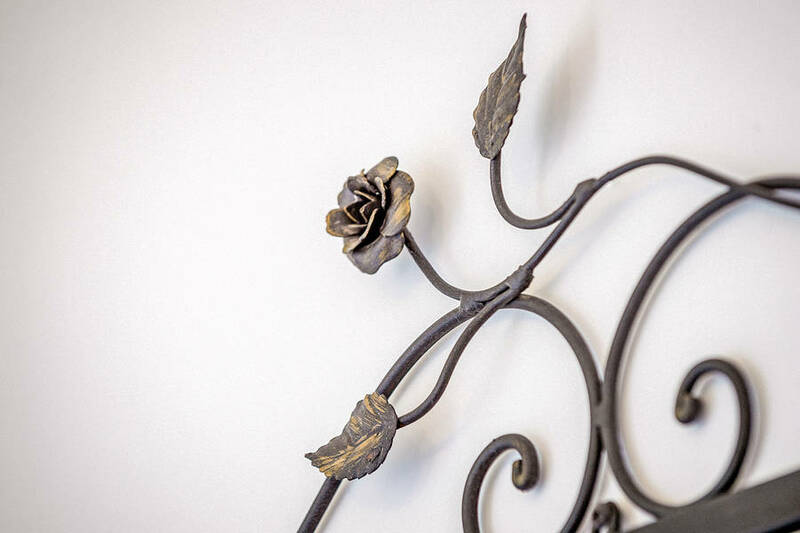 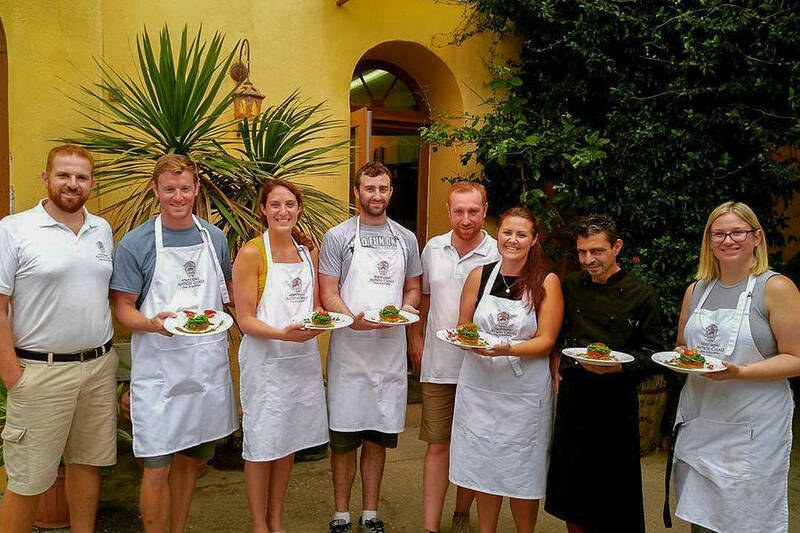 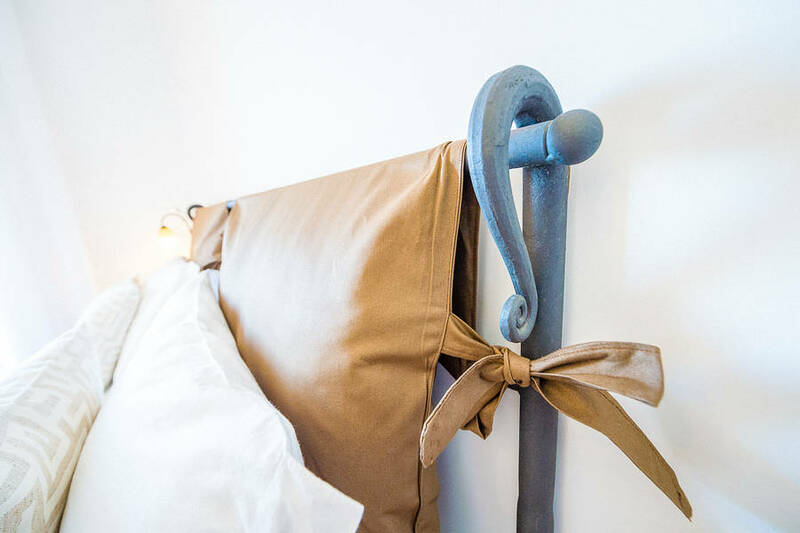 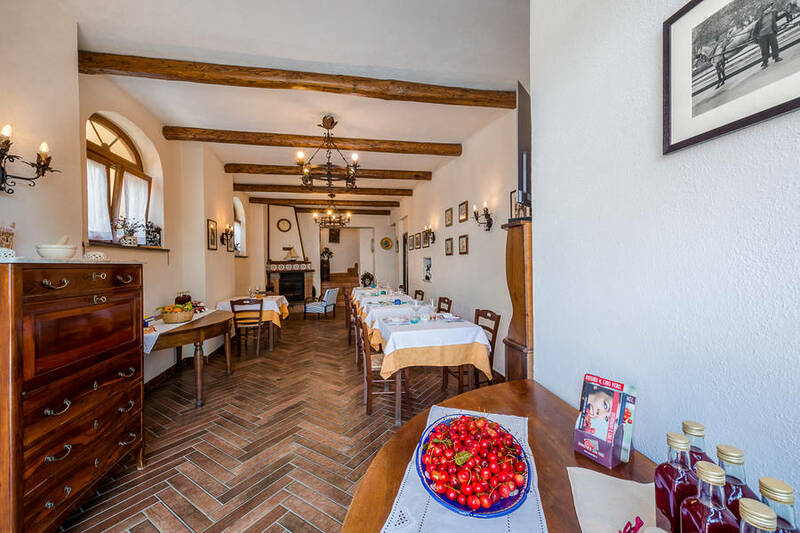 With a vegetable garden, fruit orchard, citrus trees, chicken house, rabbits, pigs, and four charming rooms newly renovated, you can relax in the countryside and even dine in at the farm's own restaurant serving traditional local dishes. 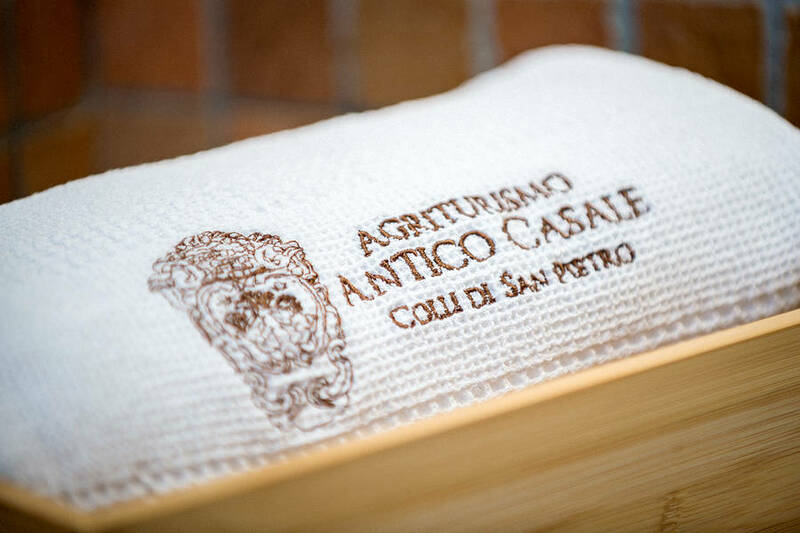 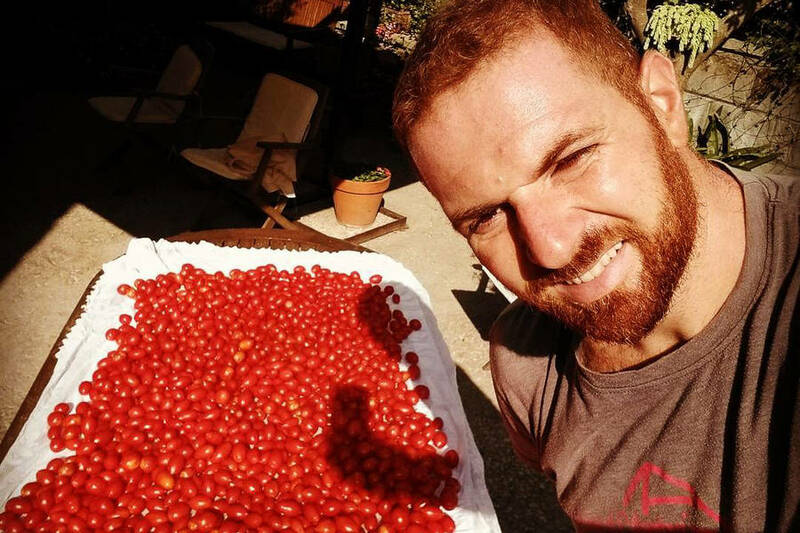 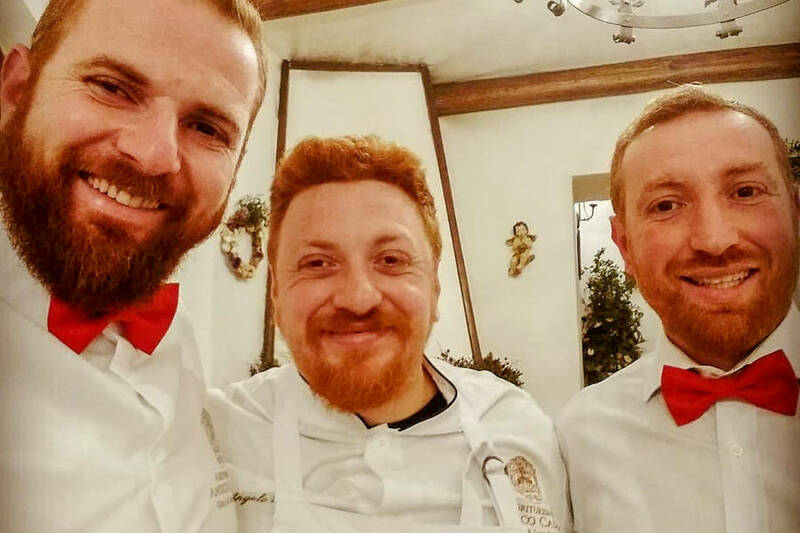 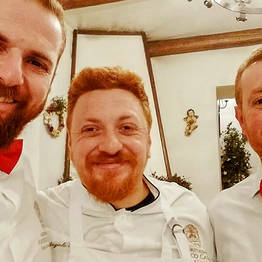 Mario and Salvatore, two brothers from the Persico family, welcome guests to Antico Casale together with their parents and Nonna Luisa, all of whom both work the farm and greet visitors. 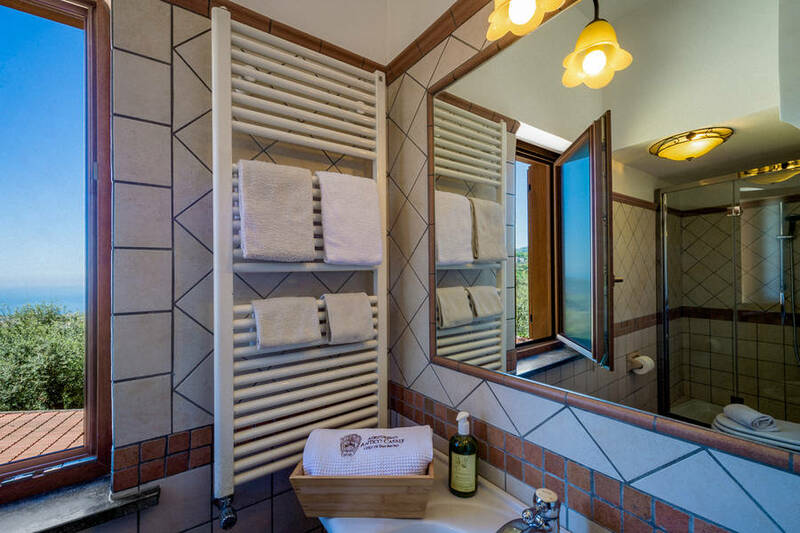 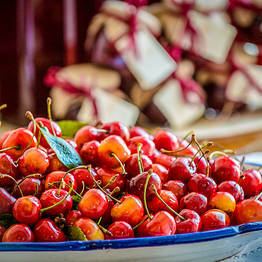 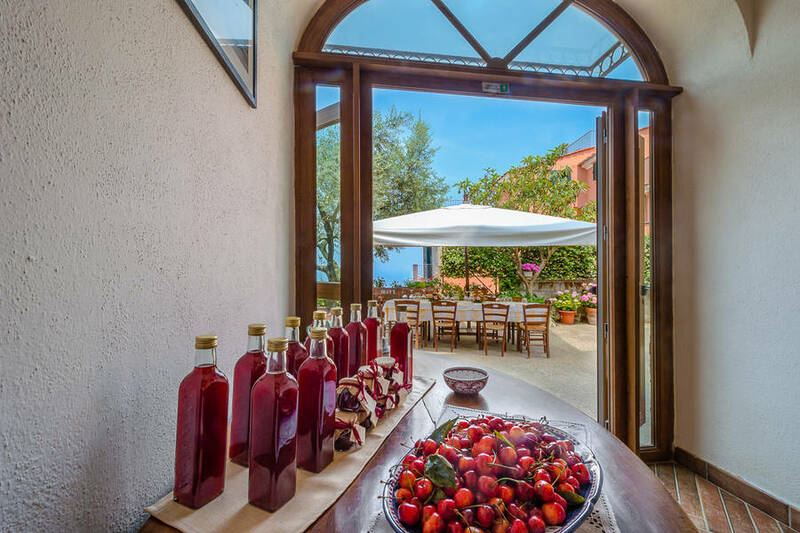 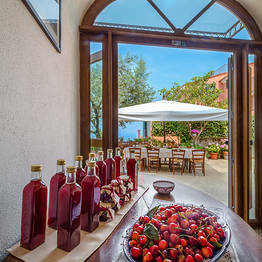 Your stay at the agriturismo will be one in which you reconnect with nature, as this working farm plants, harvests, makes wine, and preserves goodies for the upcoming winter all year round. 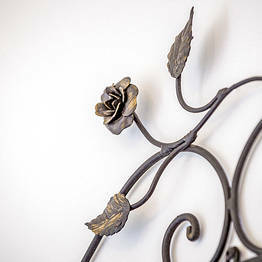 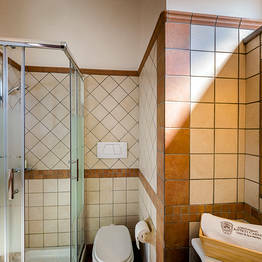 All our guests are welcome to help out, or simply watch, as we go about our daily chores. 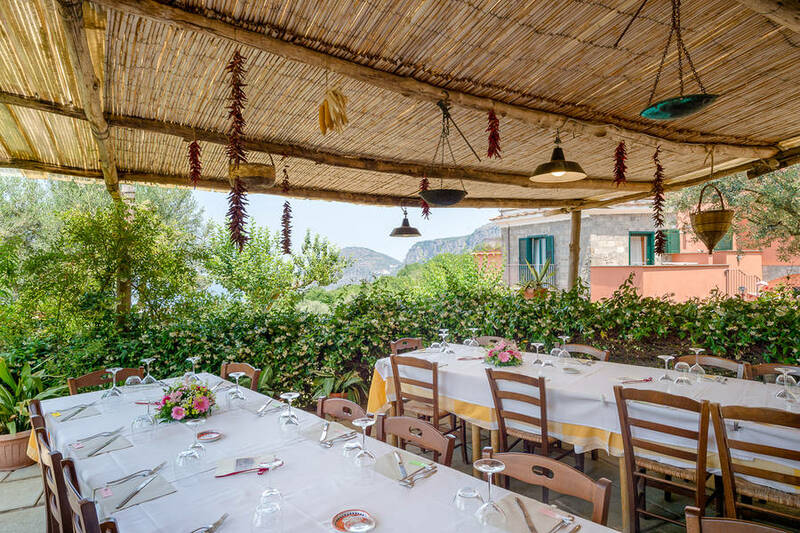 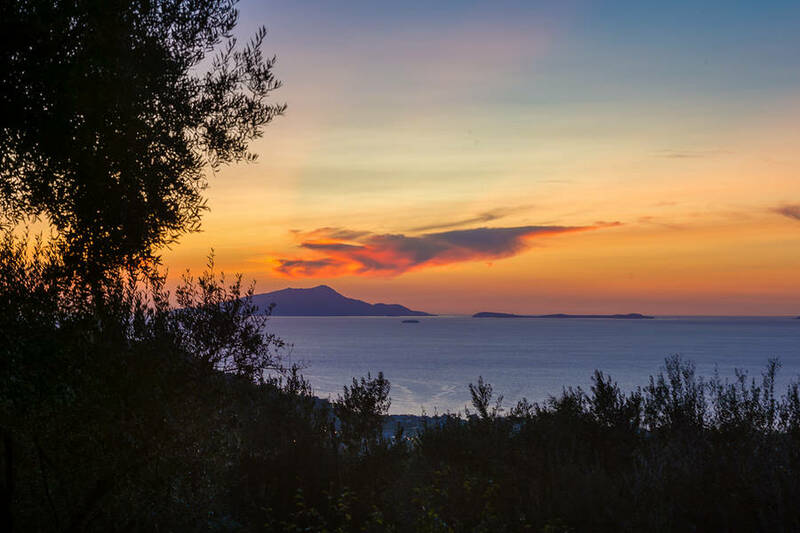 You can learn the farming traditions of the Sorrentine Peninsula and the Amalfi Coast while relaxing in the slow rhythm of the countryside. 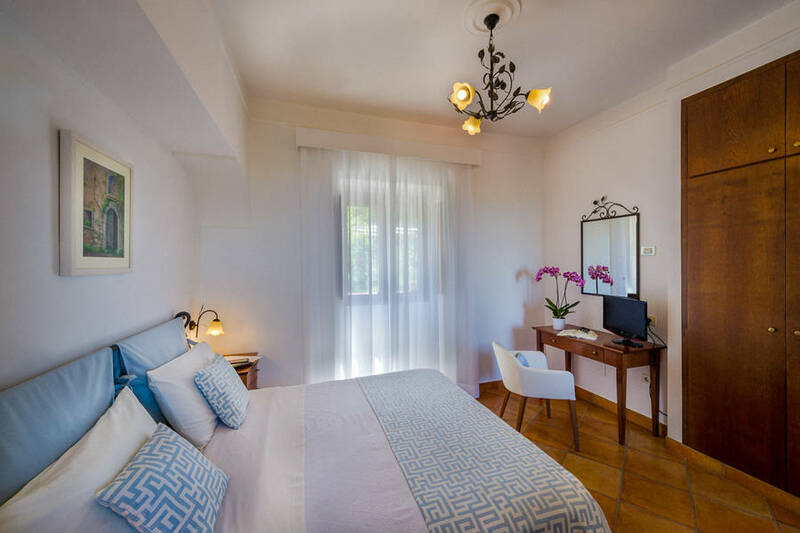 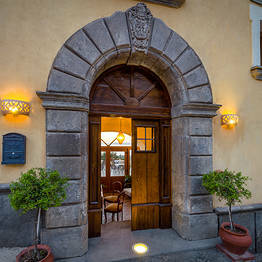 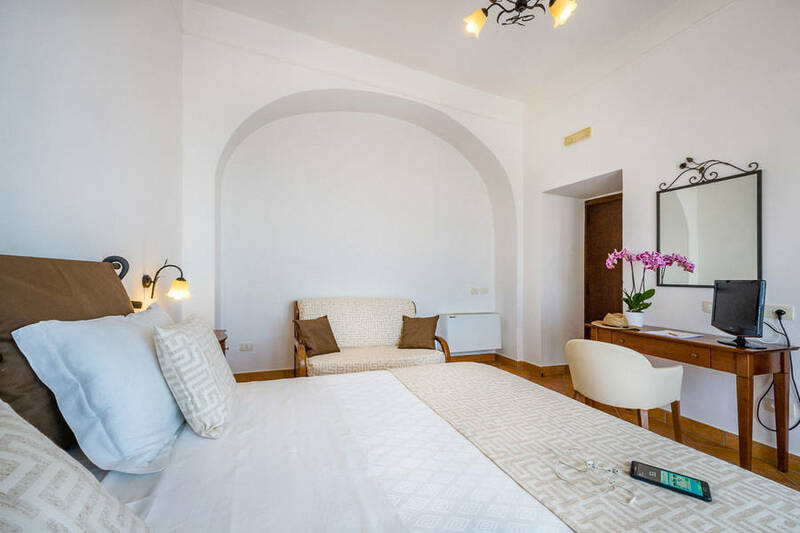 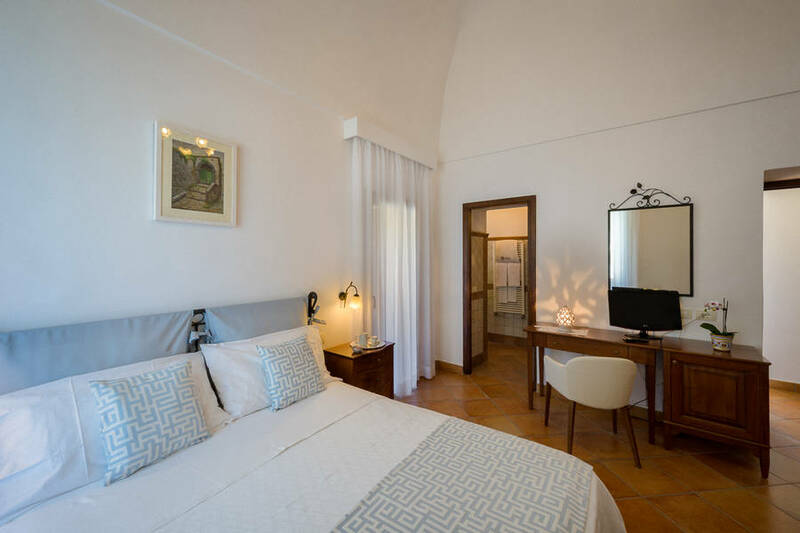 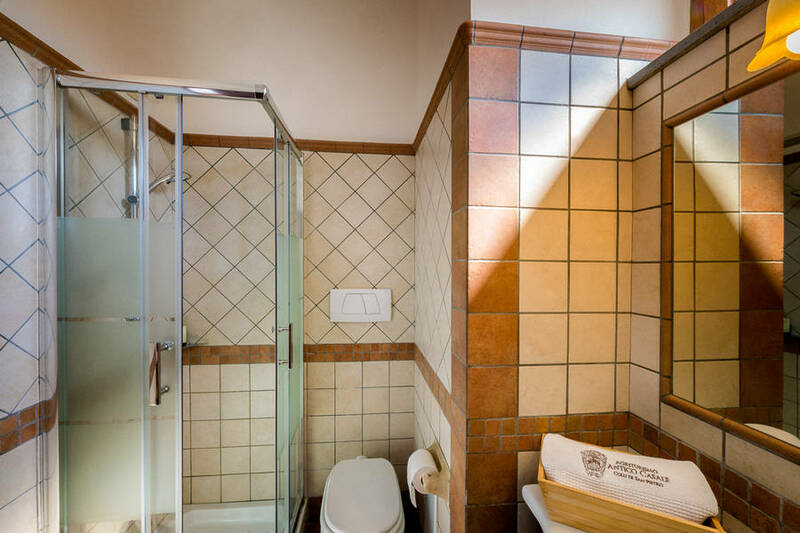 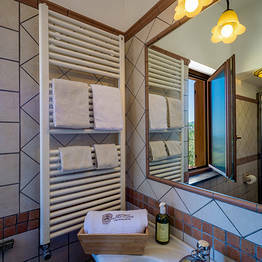 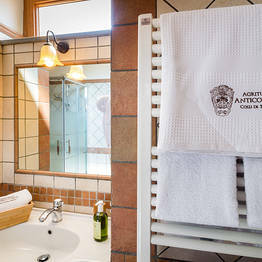 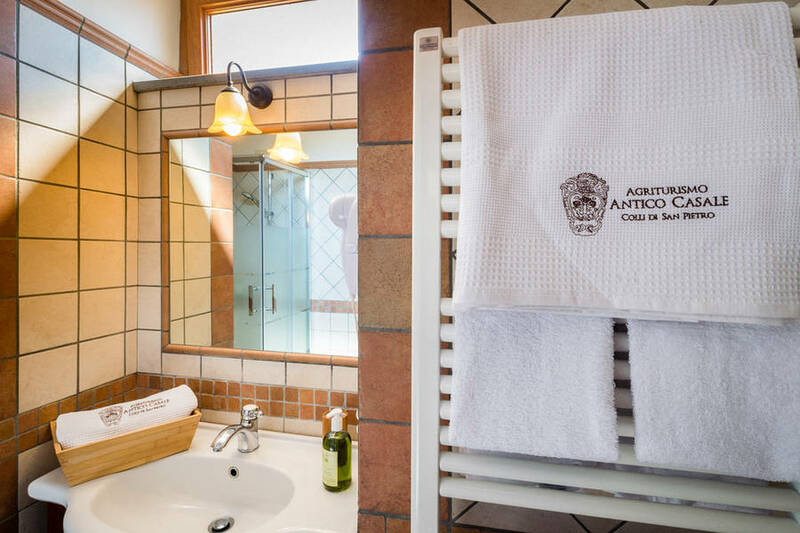 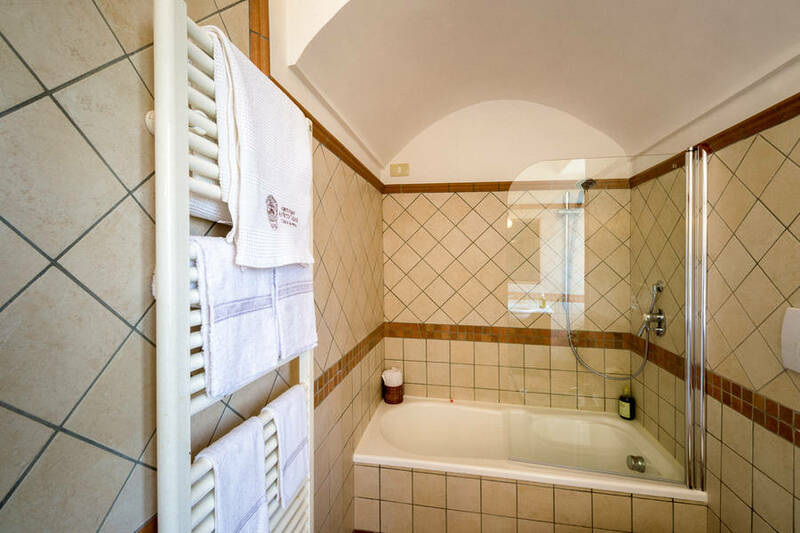 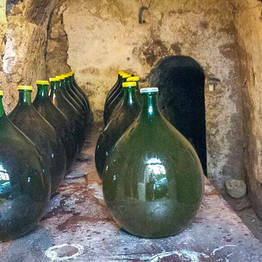 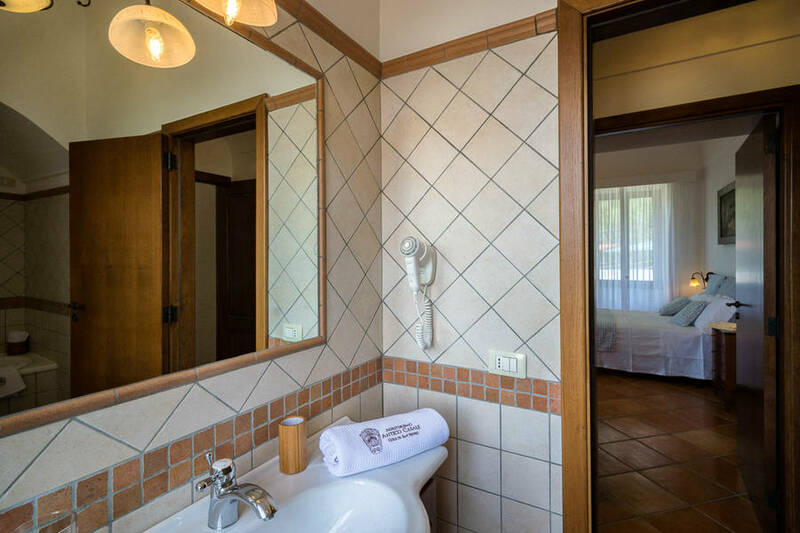 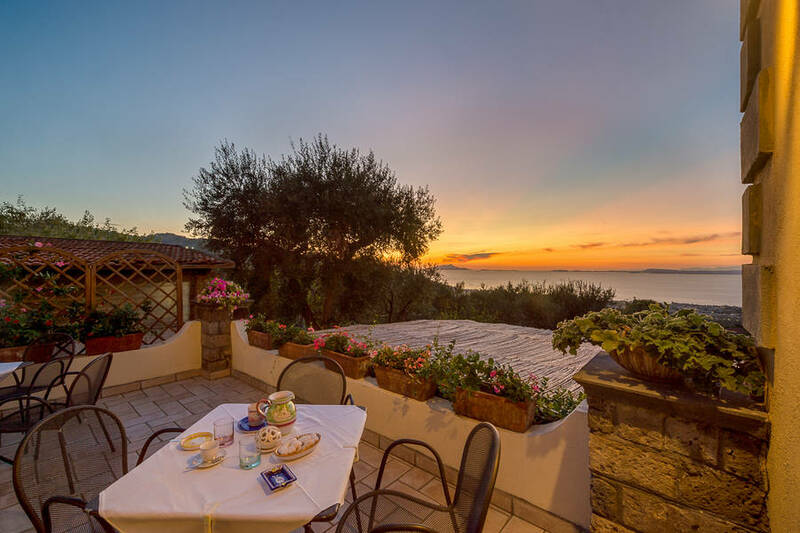 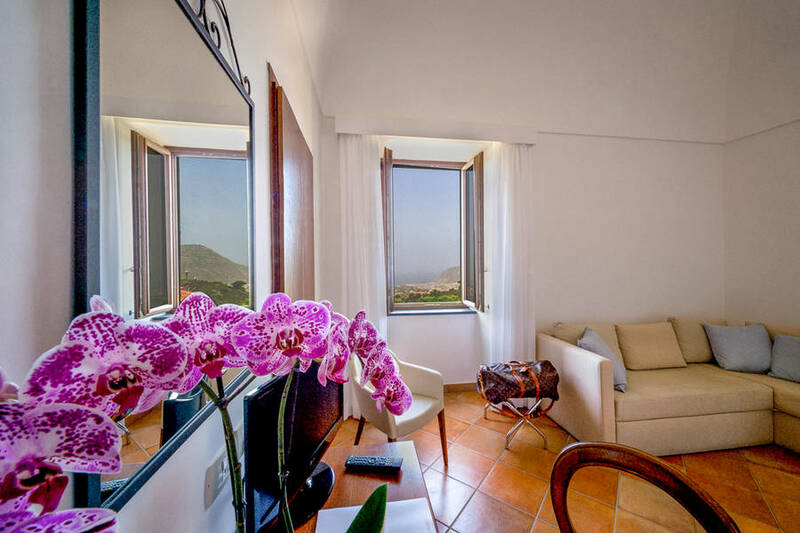 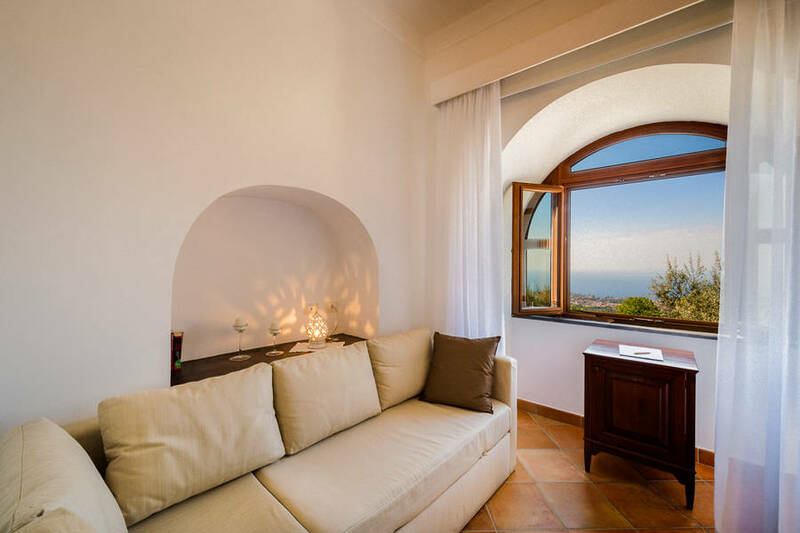 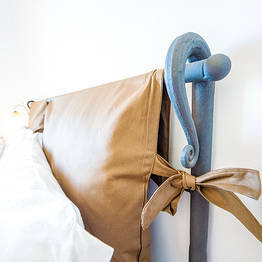 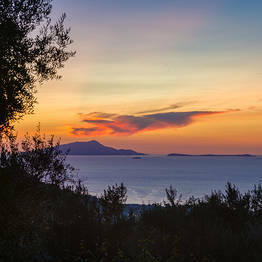 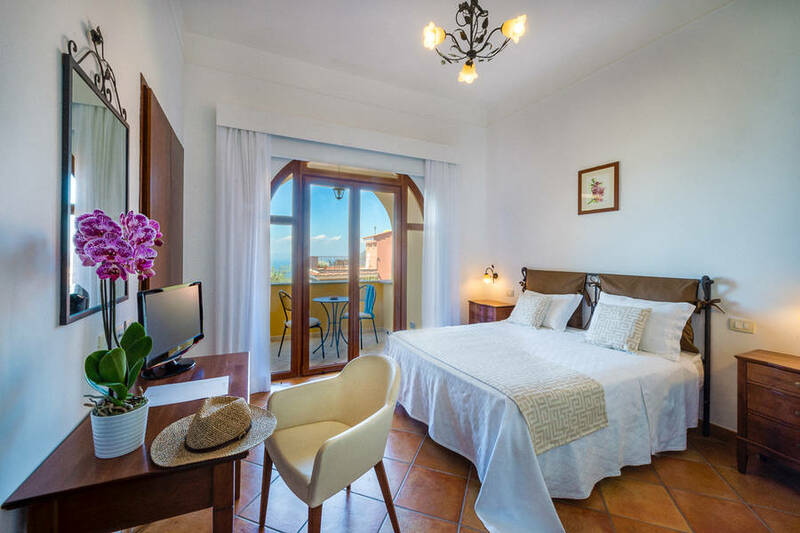 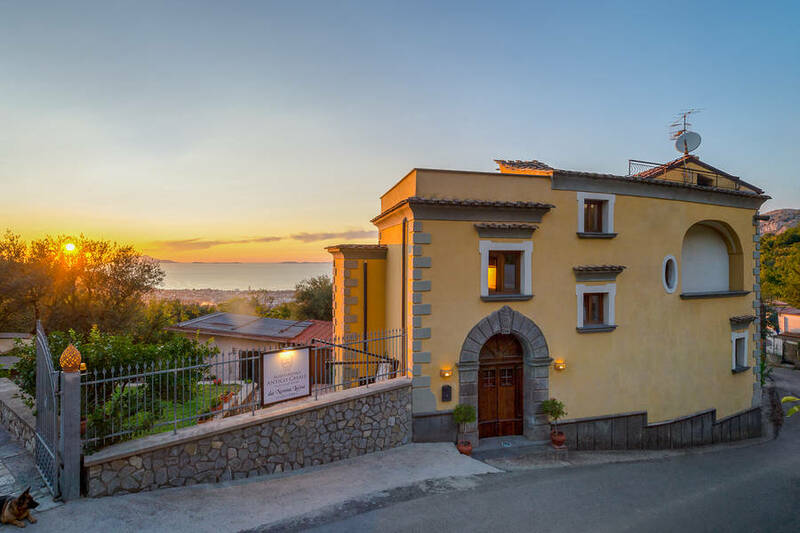 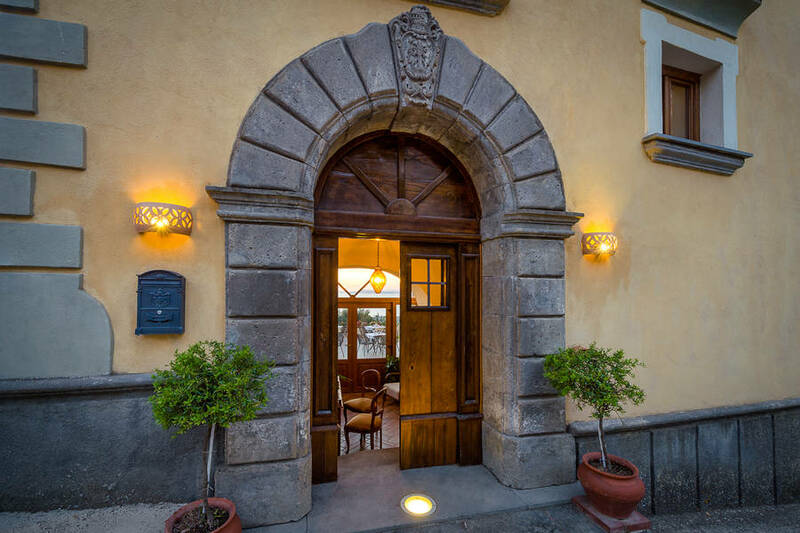 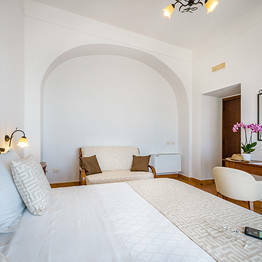 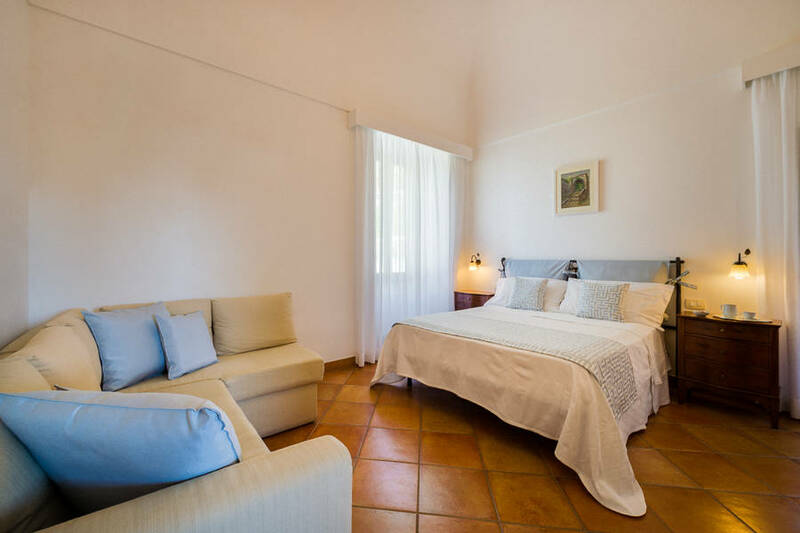 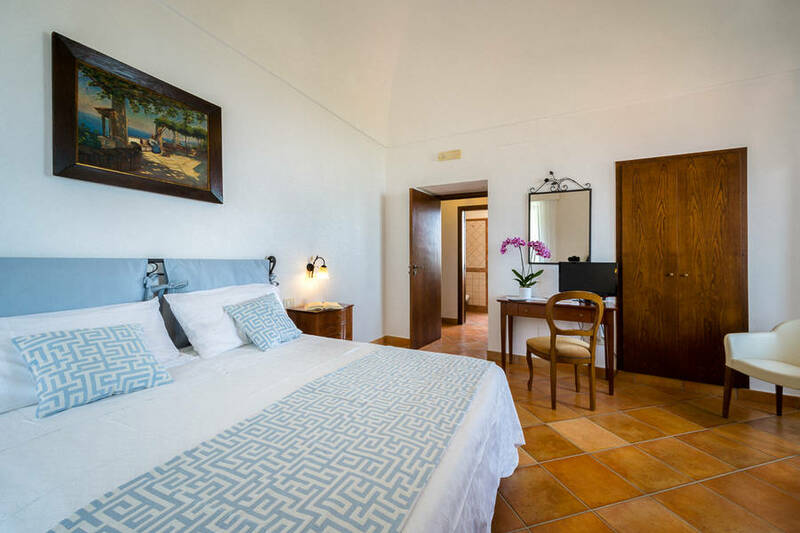 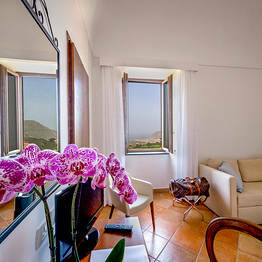 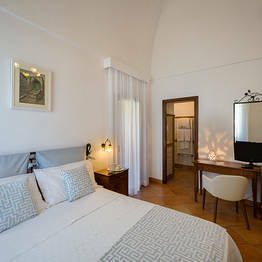 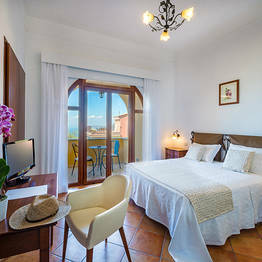 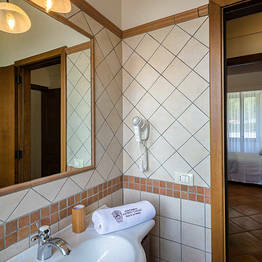 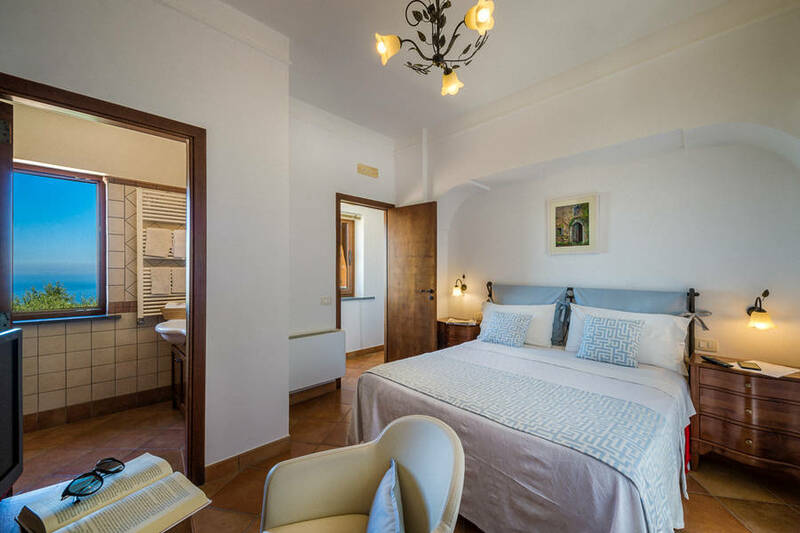 Antico Casale has just four guest rooms: two suites, a quadruple room, and a double room. 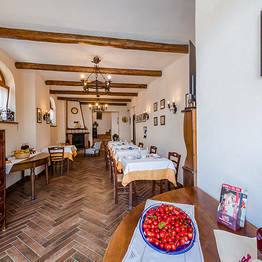 The rooms were all renovated in 2017, and have a charming country decor and the original farmhouse architecture, with high vaulted ceilings. 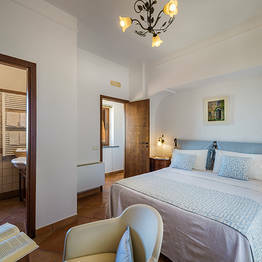 The suites have sofabeds that become bunk beds, perfect for families with children. 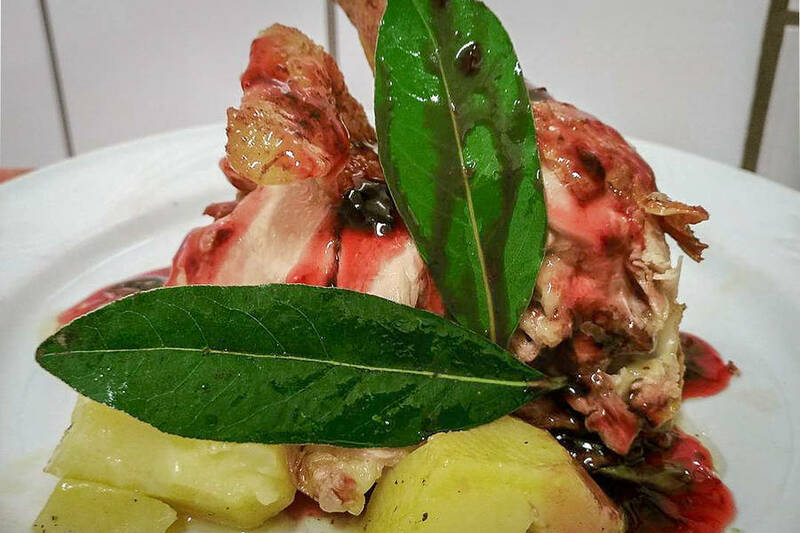 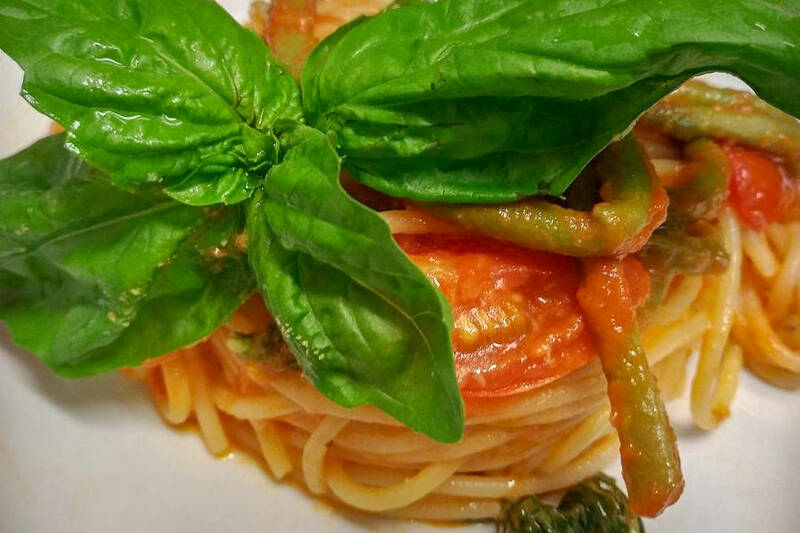 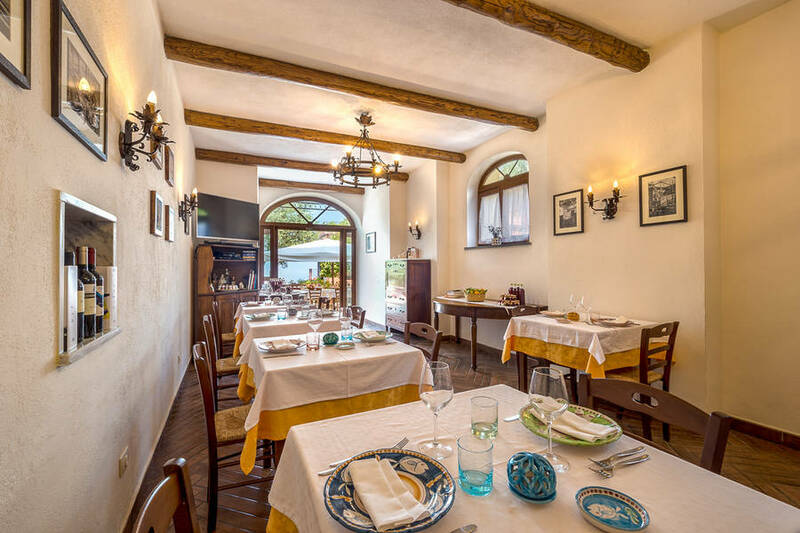 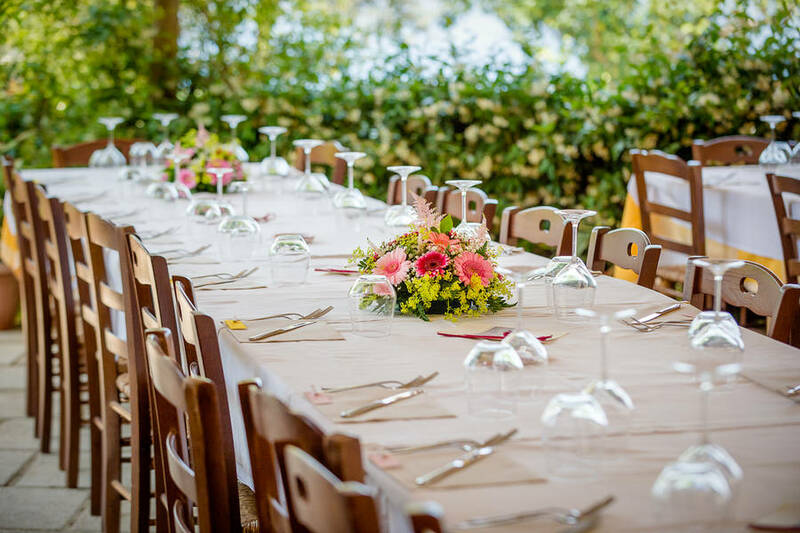 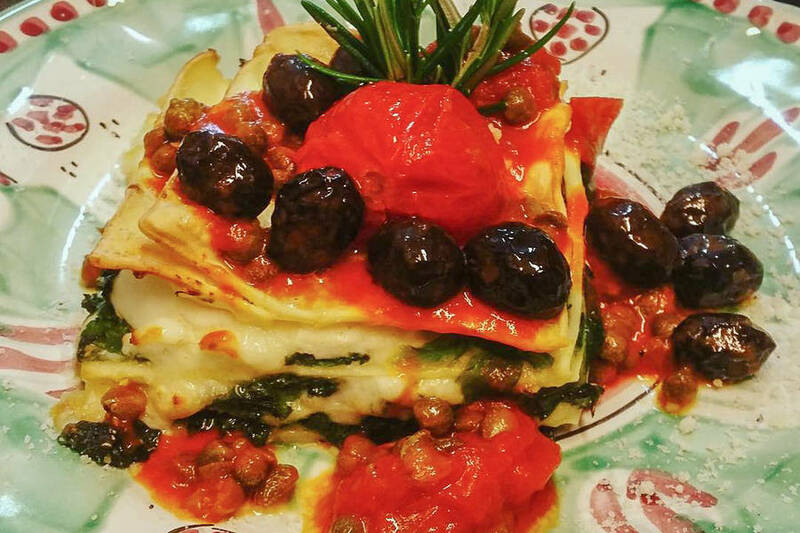 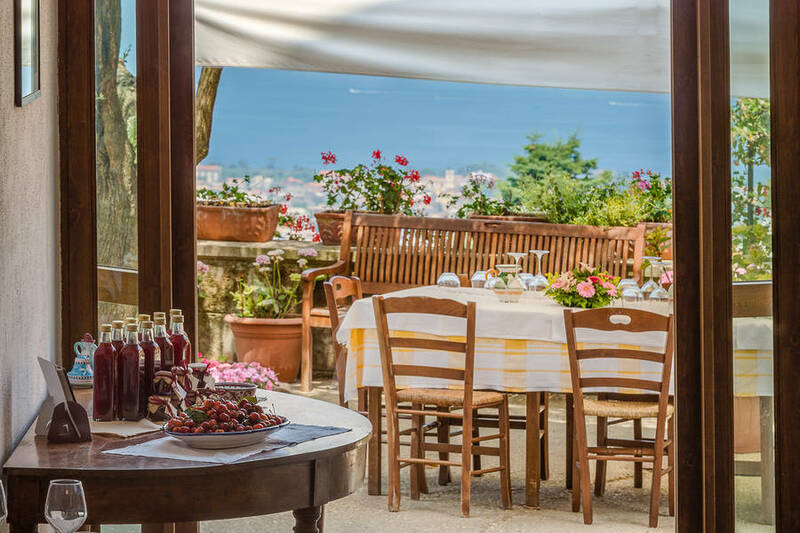 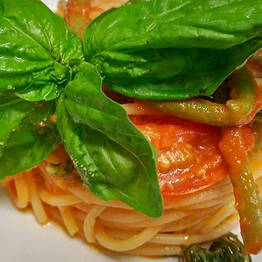 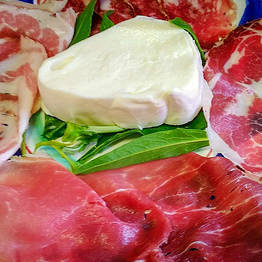 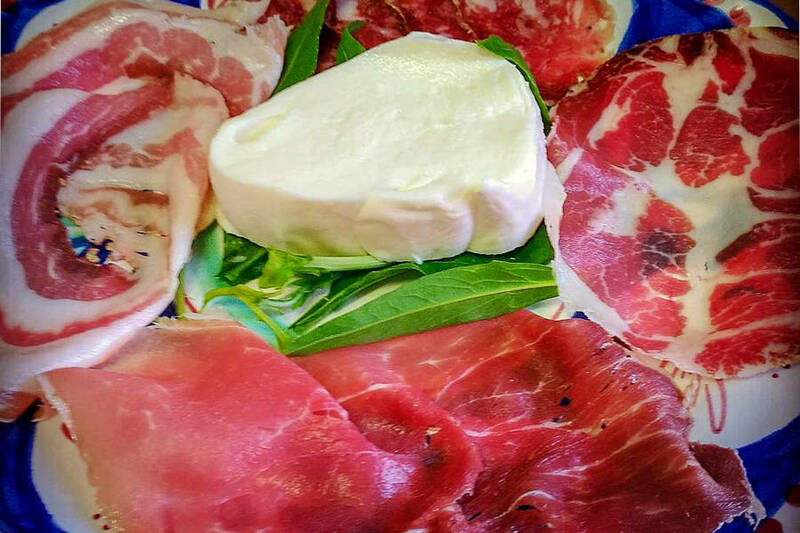 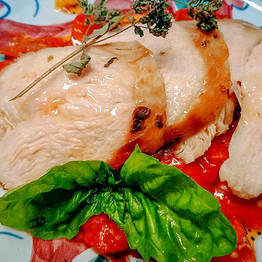 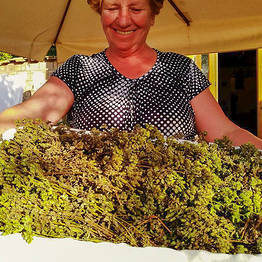 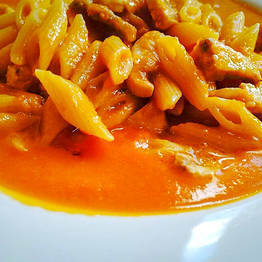 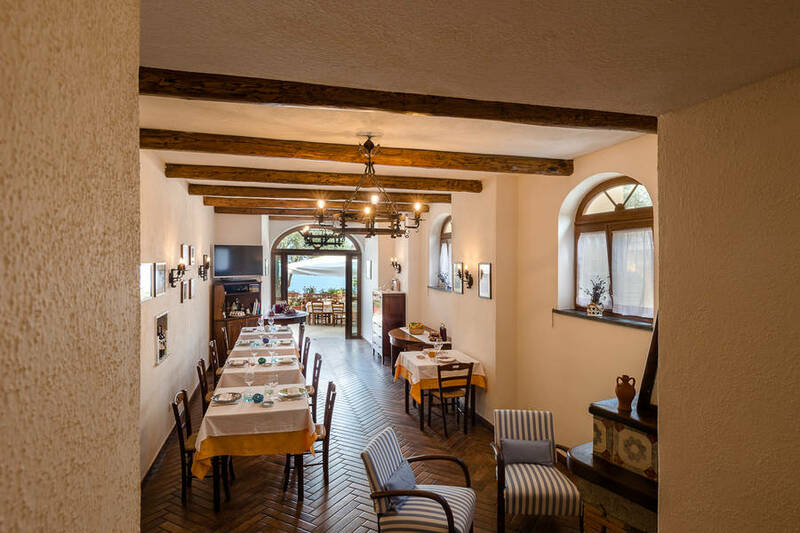 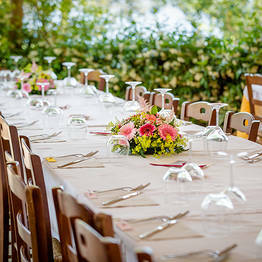 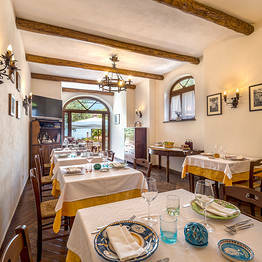 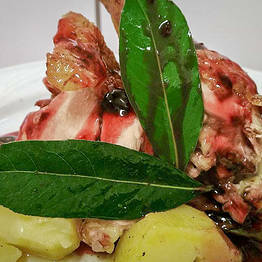 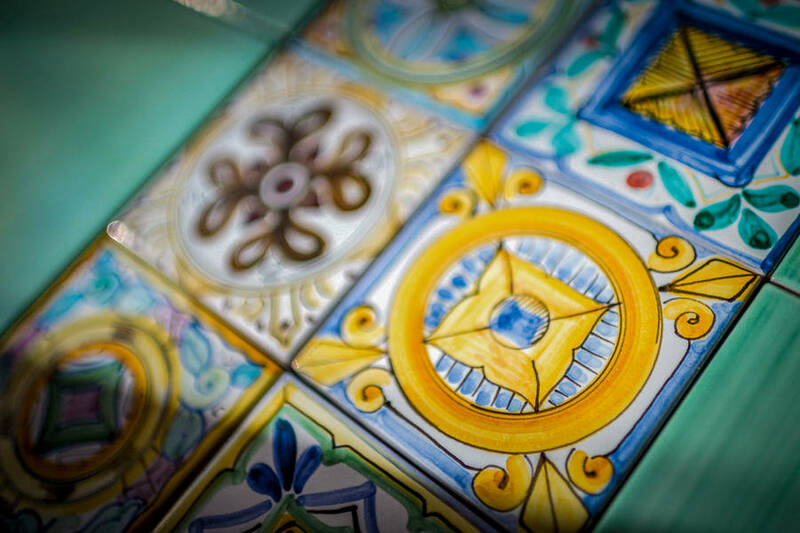 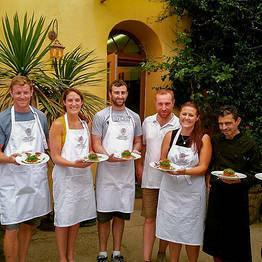 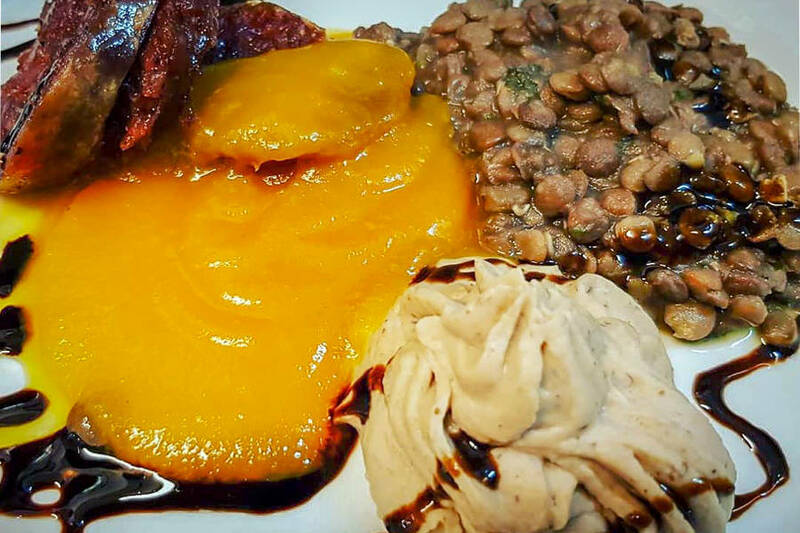 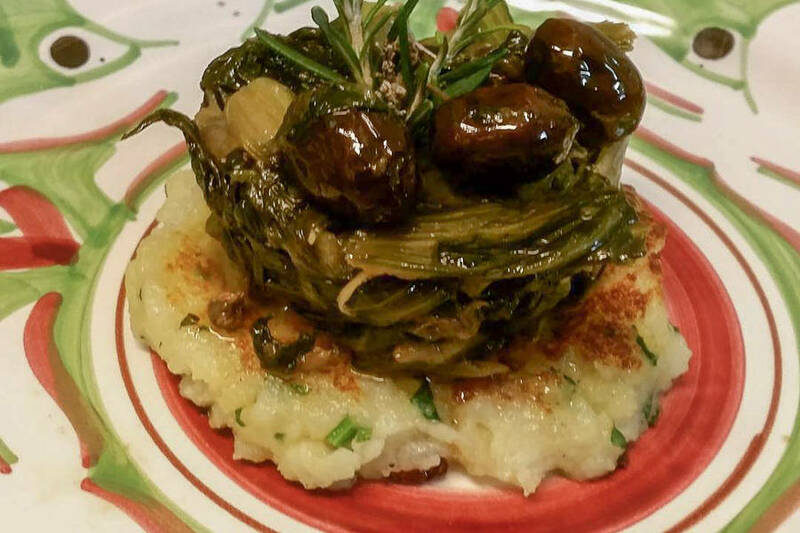 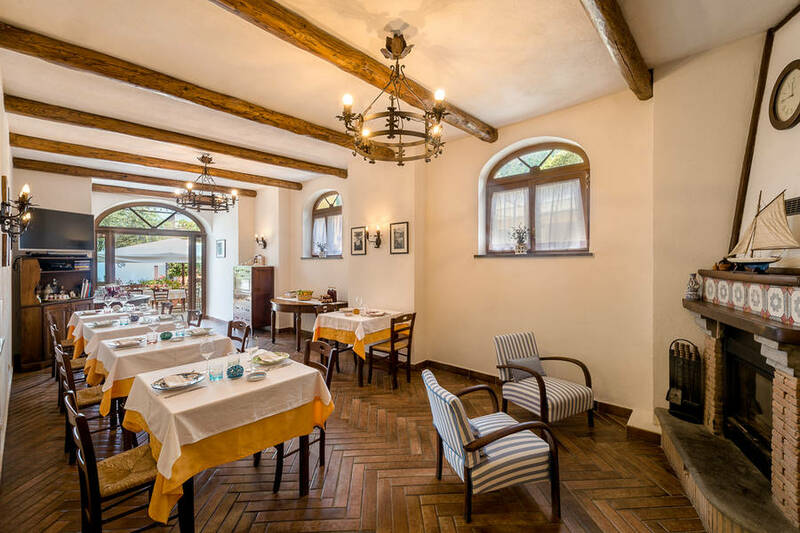 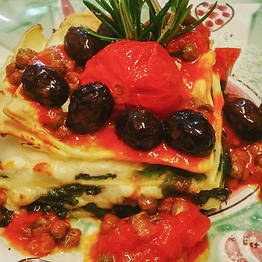 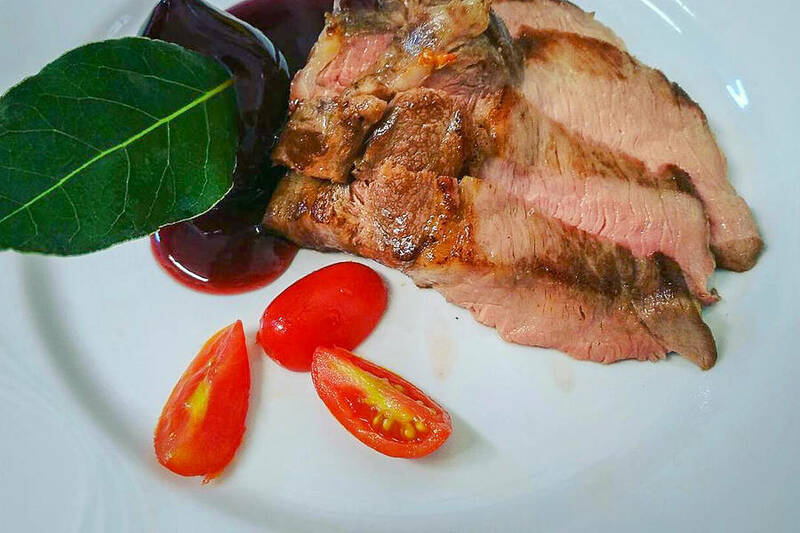 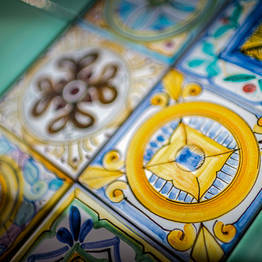 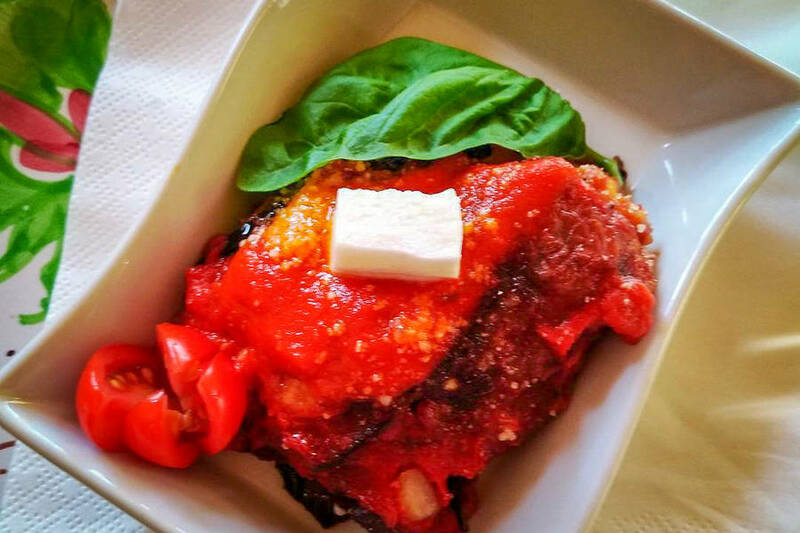 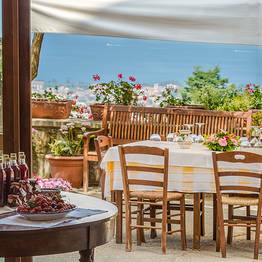 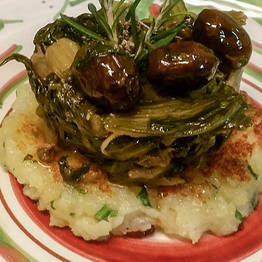 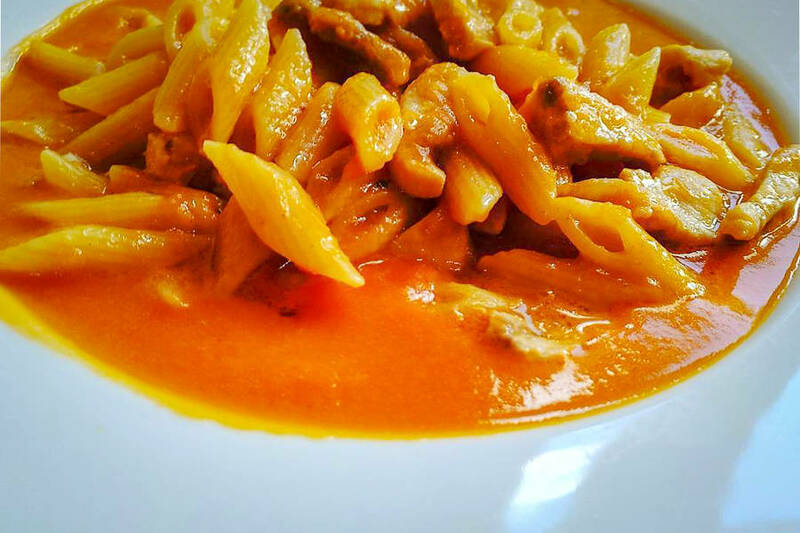 One of the most popular amenities at Antico Casale is the "Da Nonna Luisa" restaurant. 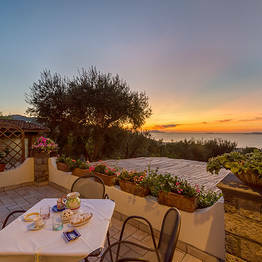 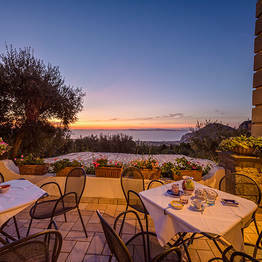 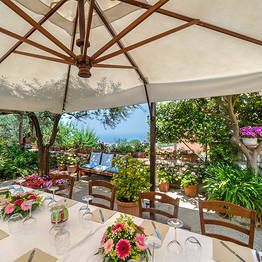 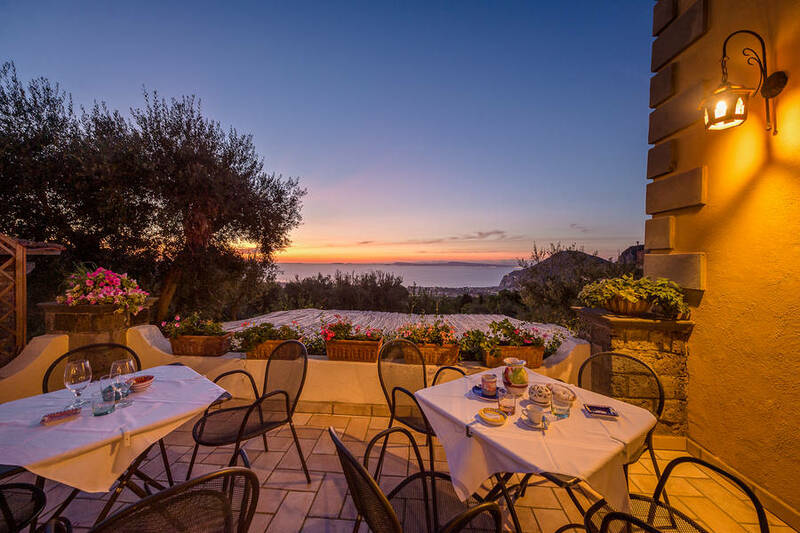 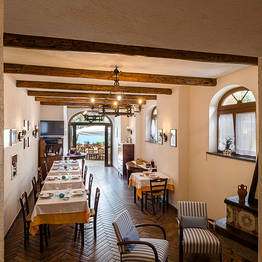 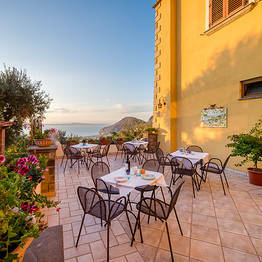 Here you can dine on the patio with views of the sea or in the comfortable internal dining room. 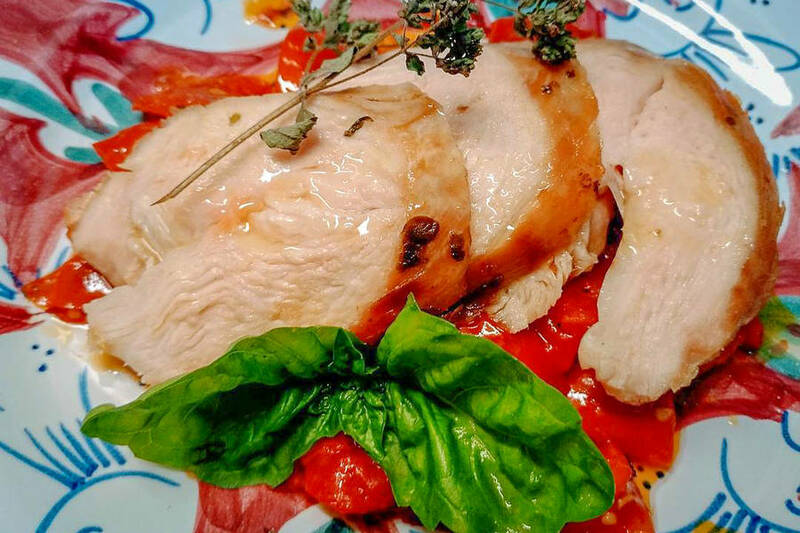 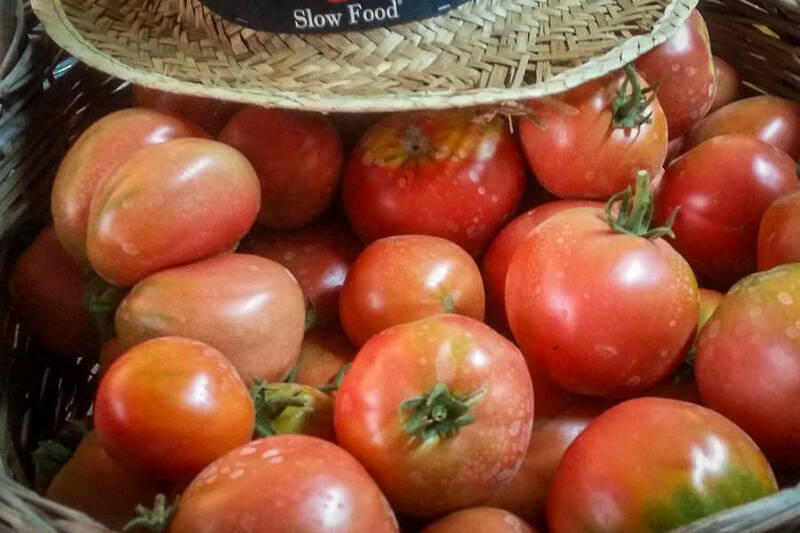 All the dishes are made with local ingredients, many picked and grown directly at the farm and others sourced from local growers who are personal friends of the Persico family. 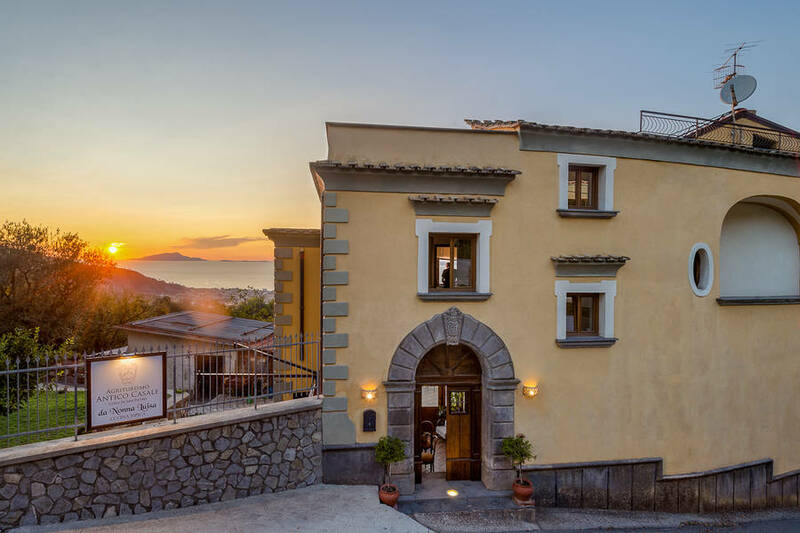 From June 1st to September 30th, guests can enter the nearby “La Lisca” pool.